We also host a number of events that are aimed at all Veterans in order to reach the Veteran population of the county. 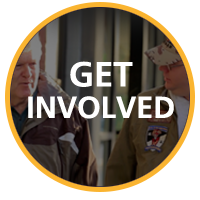 We have not only one on one mentoring, but we also host small trainings on various topics, social events, and can be found at most Veteran connection opportunities. We have a wealth of resources for our Veterans – many are local, but we are also able to access resources at the state and national level in order to benefit the Veteran and his/her family. Local Veterans are paired with Veterans who are experiencing PTSD or other re-acclimation challenges. The relationship is personalized for each pairing and will provide mentors with the opportunity to access multiple resources as well as mentor, motivate, support, encourage, and enjoy time with another Veteran. 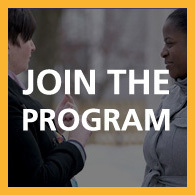 Benefits from participating in this peer-to-peer Veterans program come from helping a fellow Veteran develop a support network, encounter available resources, and encourage each other to set goals and move forward. Our peer-to-peer Veterans program provides an opportunity for our local Veterans, who have readjusted to civilian life, to form relationships with those Veterans in need. These relationships will build resiliency through encouragement, personal connections, and access to support and crisis intervention measures. All Veterans are welcome regardless of military discharge. This growing Veterans Peer Connection Program welcomes community support as we continue to assist our local Veterans to connect with each other and their neighbors in Saratoga County, New York. To learn more about volunteer opportunities, please contact us. Please be aware of your need for self-care. Knowledgeable of resources: Veteran is familiar with the purposes and location of all resources in the county and knows contacts for the most frequently used offices. The mentor has a good understanding of what is available to help Veterans at the county level. 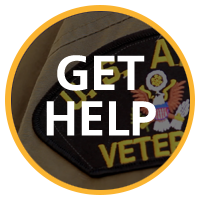 Proactive: Mentor assesses the Veteran’s situation and responds to potential problems by urging contact with appropriate offices or discussion with the program coordinator, mentor is attentive to the Veterans life choices and makes suggestions to aid the Veteran’s transition to the community. Team Player: The Peer Mentor acts in a way that reflects positively on the peer mentors as a group. The mentor serves as a resource in helping other mentors with their mentees and issues. The mentor cheerfully pitches in to help wherever help is needed. Good Listener: The peer mentor acts as a willing and attentive listener as new Veterans face transition issues. The mentor establishes boundaries to maintain a healthy relationship with the new Veteran. The mentor preserves confidentiality unless the new Veteran’s health or safety is at risk.